While white sand beaches attract sun-seeking travelers to Tulum and ancient ruins lure cultured jet-setters to Chichén Itzá, flavorful ingredients draw foodies to Mexico City. Boasting both casual street food and fine dining fare, the city's culinary reputation has earned the capital coveted spots on prestigious travel guides spanning The New York Times and Bon Appétit. Although we could turn to the aforementioned travel guides for tried-and-true recommendations, we went in search of local-approved haunts that are more akin to hidden gems than touristy hot spots. For insider intel on where to stay, find the best street food, and sip on mezcal in Mexico City, we turned to Katalina Mayorga, the founder of El Camino Travel, a travel company that partners with locals in Latin American, South American, and Carribean countries to create immersive cultural experiences. Whether you're looking for elevated dishes made with native delicacies or late-night sugary snacks, this Latin American capital belongs on your culinary travel bucket list. Keep scrolling for off-the-beaten-path things to do in Mexico City. From charming lodgings complete with rooftop gardens to achingly hip accommodations in the city's coolest neighborhoods, these are the gorgeous boutique hotels to add to your list. Chaya B&B: With its cheerful yellow exterior and lush rooftop garden, this boutique hotel was practically made for Instagram. Hotel Carlota: Located in the hip Juárez neighborhood, Hotel Carlota is "like the Ace Hotel of Mexico City," says Mayorga. Downtown Mexico: Originally a 17th-century palace, Downtown is now a stunning hotel complete with a classic colonial courtyard. Spanning an immersive street food tour that highlights local flavors to a lively cocktail bar hidden in an up-and-coming neighborhood, these are the culinary hot spots you can't miss in Mexico City. Club Tengo Hambre: For an immersive experience, sign up for a street food tour with Club Tengo Hambre, recommends Mayorga. "They also have an amazing mezcal experience," she adds. Fonda Fina: Led by Chef Juan Cabrera, Fonda Fina is Mayorga's top restaurant recommendation for fine dining in Mexico City. Nicos: This unassuming restaurant is kind of out of the way, but it's worth the trek. "It doesn't look as fancy as it should be, but it's always on the list of the Top 50 Best Restaurants of Latin America," says Mayorga. Pujol: Known for using native ingredients, Chef Enrique Olvera's Pujol is a fine dining experience must in Mexico City. Churrería El Moro: Serving up sweet, deep-fried dough (aka churros), this late-night eatery is a must after an evening of sipping on mezcal. Hanky Panky: You'll want to make a reservation at this lively members-only bar located in Juárez. 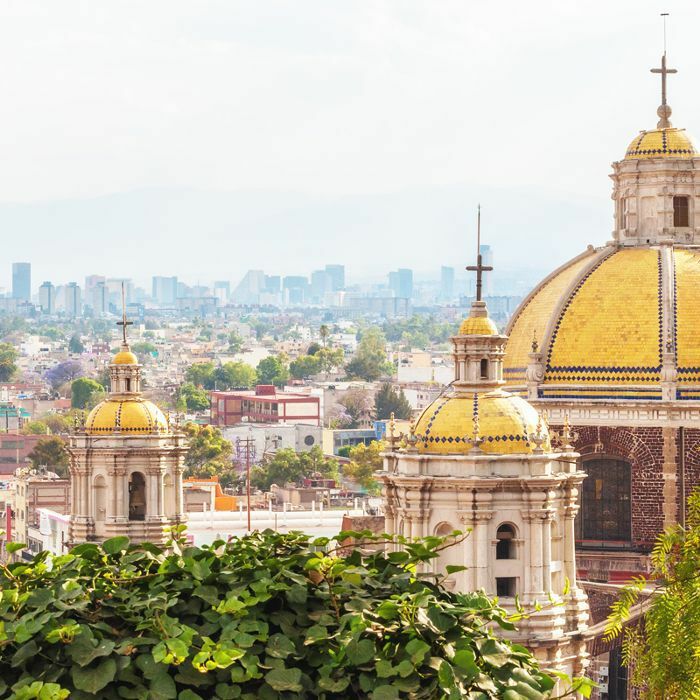 Mexico City is a mecca for art, design, and music lovers. Beyond the popular Palacio de Bellas Artes and Frida Kahlo Museum, head to these under-the-radar locations to enjoy the art scene without the crowds. Casa Luis Barragán: Tickets sell out fast, cautions Mayorga, so be sure to plan ahead to take a tour of acclaimed Mexican architect Luis Barragán's studio. Hotel Camino Real: The vibrant historic hotel, originally designed by Ricardo Legorreta, is a must-see even if you're not an architecture buff. Boats of Xochimilco: Head outside the city to float down the Xochimilco river. Board a colorful boat, enjoy "street" food from floating vendors, and listen to mariachi music. Looking for more culinary-inspired travel destinations? Forget Paris—this tiny town is the unofficial food capital of Europe.